What an odd week. 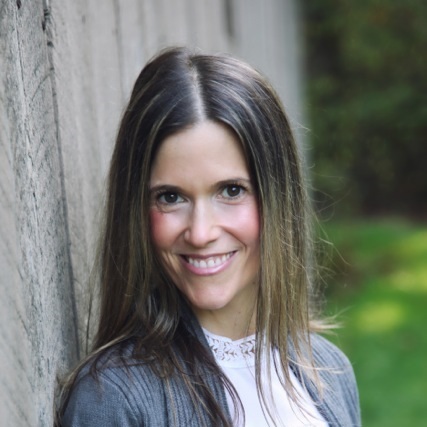 Almost every day some strange interaction occurred – either with me, my kids, or online. To top it off, on Friday I received an email from facebook that my business page was under review because of a 3rd party complaint. This led to losing access to my private account for a couple of days. All in all, a weird week. Nothing of great importance (thankfully). Just distracting and time consuming matters. In a way, though, these things reminded me of all that is going right! Funny how that works. One thing that went very right this week… Breville contacted me about their new Smart Grill. I haven’t tried the unit (yet) myself, and promptly asked if I could provide a giveaway for Father’s Day on my blog. I love my Breville Smart Oven Pro and expect to love this grill just as much. We don’t have an outdoor BBQ, so I use a small grill for things veggie meals like vegan burgers, vegan hot dogs, potatoes (yes! ), veggies (bell peppers, onions, zucchini, mushrooms), plantains, and more. Grilling brings a better flavor to everything, and concentrates the natural sugars and flavors in vegetables, for the best-tasting plant-based meals. The grill I’ve been using to date is an older model of a Cuisinart. It’s been ‘ok’ but doesn’t generate the heat and grill power that I’d like. The video and specs on this Smart Grill are pretty impressive. I’m stoked to be trying out the new Breville Smart Grill, and equally stoked that one of you will be too! It looks mighty mighty! Wouldn’t it make a fab Father’s Day gift? When I get a chance to try out this beauty, I’ll share some details in another post. In addition to veggies (my favorite vegan food to grill), obvious choices for this appliance include Umami Burgers, Mushroom Pecan Burgers, Tempeh Tickle, and Lemon-Herb Tofu. What are your favorite vegan recipes and plant-based foods to grill? *If you have a Canadian address, feel free to enter. Love cremini mushrooms in Moroccan marinade off the grill. Literally bursting with flavor. Yum! Portobellos and pineapple are my favs. Any grilled veggies are the best. And grilled pineapple! We grill veggies all the time – mushrooms, broccoli, peppers, and onions! I just love grilling all kinds of veggies! I love grilling carrot “hot dogs” and thick slices of pineapple! YUM! Our 14 year old daughter recently became vegetarian. She has been grilling vegetables and even fruit so this would be great. thanks for the chance. Peaches are amazing grilled, then drizzle a light agave/honey and cinnamon over them… YUM!!! I love to grill pizza topped with plenty of grilled veggies like peppers, onions, mushrooms and artichokes, fresh basil. I love to grill mushrooms, asparagus, corn and peppers. I love to grill corn on the cob! Grilled sweet corn is surprisingly delicious! I love to grill Portabello Mushroom burgers. Thanks for the chance. I LOVE marinated and grilled portobellos, so delicious! Any grilled veggies are terrific especially eggplant and zucchini! There are so many good options, but I love to do asparagus on the grill because I think it is the single tastiest way to prepare asparagus. Plus it’s so simple, just a little olive oil, salt and pepper and maybe a squeeze of fresh lemon when it’s done. I adore grilled mushrooms and veggies on skewers! Definitely potatoes. Sweet potatoes, hash browns, rosti, anykind anyway. I don’t have a grill and would love to win. I do have Breville’s smart toaster oven and like you love it and use it a lot. My oven gets rarely used now. I love marinated grilled tofu – it becomes a sandwich staple in the summer! I love to grill Peppers, Mushrooms and Onions. Eggplant, corn and tofu burgers! veggie burgers, zucchini, red peppers and mushrooms oh yum! We love peppers, mushrooms, and pineapple! Fruits, veggies and veggie burgers. Thanks Dreena for this wonderful giveaway ! It is really appreciated and exciting. My favorite thing to grill is a marinated tofu and veggies on kabob. Yummm…! Also, I love to grilled eggplant from my garden. Pizza! We love to do pizza on the grill. I also bought a quesadilla holder for the grill that makes them more interesting. Paninis and sandwiches! Would also like to try grilling grated potato hashbrowns and veggies for a yummy crispy veggie potato breakfast hash! Burgers! I love burgers!! I love trying different veggie burgers. I really like a falafel burger I make. Stuffed portobellas & all veggies. I love grilled fruits too! Our family is has to be gluten free, I love to grill eggplant with tomato & mozzarella “stacks” Everyone in the family loves them! I love to grill spicy barbecue tofu. And veggies! Grilled zucchini and eggplant are some of my favorites. Zucchini, red peppers, corn on the cob, we love it all! Any kind of veggies for me! Asparagus on the grill is divine! My all time favorite is corn!! Something about the smoky flavor and the sweetness just makes my mouth water!! Grilled romaine with vegan Caesar dressing! We love to grill portobello mushrooms and corn in the husk..then add some lime juice and cayenne pepper..soo yummy. I like to marinate a variety of veggies and then grill them. I am looking forward to plenty of grilled zucchini once it starts growing in friends gardens. We usually get lots of it to enjoy. So many veggies to choose from, they’re all so delicious grilled, but my faves are asparagus, bell peppers, and red onions. Pizza and panini sandwiches are very tasty as well. I love Breville’s appliance, they are the best built ones! I have their citrus juicer and their slow cooker and they are amazing! My favourite vegan food to grill is veggie burgers which I get at Costco and corn on the cob. I would love to win this Breville Smart Grill! Thanks to Breville for supplying such a wonderful giveaway item. I’ve never really grilled much vegan food. I’ve tried some different vegetables, but nothing outstanding yet. I would love the ease of an indoor grill-my friend makes a mean grilled cheese on hers! I don’t have a grill, but there are so many good suggestions in these comments! I’d probably try veggie kabobs first, with bell peppers, onions, tomatoes, and pineapple. Thanks for the chance to win! I love to grill portobello mushrooms, pineapple, jalapenos, bell peppers, summer squash… yummy! My favorite vegan is mexican vegan mole with rice (tomatoes, peas, corn, carrots)+ fresh corn tortillas. Asparagus and corn on the cob are my favourite foods to grill – heaven! I love making grilled marinated Portobellos with roasted red peppers in the grill!! I like grilled Pineapple but on the regular BBQ the juice tends to drip and cause a fire. The middle drip tray would be perfect! We love grilled apple paninis as well. I love lots of grilled veggies, but sweet corn is one of the best! I didn’t realize this was only for Canadian entrants until after I entered! Sorry about that! Mmm… veggie kabobs with pineapple, mushrooms, peppers, zucchini and marinated tofu! I like grilling portabella mushrooms! Marinated tofu steaks or kababs. It’s hard to choose because I’ll also just fill a plate with grilled veggies. That being said, having a BBQ tofu kebab was the first way that tofu was introduced to me in a way I liked it. From there, I’ve grown to love it in all ways. I love grilled tomatoes and zucchini! I love almost any grilled vegetable especially corn and asparagus. Black bean burgers! And corn on the cob, and bbq tofu kabobs. Everything is better grilled! I love to grill mushroom, romaine, corn on the cob, zucchini, sweet potato, squash, pineapple – really anything from the produce department! Well it isn’t eggplant! Yuk! I actually like veggie burgers, especially grilled. My favorite would have to be Portabello Mushrooms with a little Balsamic Vinegar. A blend of root veggies! I used to think it was potatoes – I love them both baked or hobo style in some tinfoil with other veges… BUT I finally tried some grilled corn on the cob with a garlic-herb butter and it is to DIE for. Now I see BBQ and think CORN!!! Bring out the corn!! Mushrooms and onions smothered in spices and oil!!! YUM! Thanks! I love grilling eggplants the most. This would definitely make grilling veggies a whole lot easier! I favourite vegan food to grill is All. The. Veggies. Haha! Eggplant, bell peppers, onions, mushrooms, skewered and BBQ’d = perfection! I love to grill veggie burgers and Smart Dogs. Also, all kinds of veggies. Our favorites include peppers and onions. I would love to try grilling fruit, though. I like to grill zucchini slices that have been marinated in sauce. LOVE mushrooms. Would love to grill portobello for mushroom burger topped with Jersey tomatoes–yum! I don’t have a grill, so I haven’t tried grilling much of anything. But, a couple of years ago, some friends invited us over for a barbecue and I brought marinated tempeh – this is how I learned that marinated tempeh is just amazing grilled! I’d be delighted to have a grill so I could try some of the fantastic ideas that have been shared here! I love to grill all kinds of veggies but sweet corn is the best – then squeeze fresh lime juice over the top – scrumptious! We do not have a grill so this would be a new experience for us. I would love to try grilled portabellas. I love getting my husband to grill veggies — but for a treat, we’ll grill pizza as well (featuring pesto, caramelized onions, and sliced tomato! So delicious. My husband LOVES grilling! Our go-to things to grill are corn on the cob, jalapeño black bean burgers and veggie kabobs. We basically love any kind of homemade vegan burger though. This grill looks amazing! Especially for those of us in Canada who have long winters and cant always use an outside grill! We haven’t had a grill in years and I’ve only been vegan for the last year. But I would love to grill up some corn, carrot dogs and bean burgers! Thanks for the chance, Dreena! I love grilling Asparagus and Lemons! Veggie/bean burgers and veggie kabobs are essential! We also like grilling corn on the cob. I love grilling some sweet things as well, such as pineapple, peaches, and figs. I am in love with Breville products, and I’ve had my eye on this for a while. Excited to hear your review! When we grill, it’s usually either veggie burgers, or veggies like portobello mushrooms tops, sweet bell peppers, zucchini planks, and sometimes asparagus. I make a homemade balsamic vinegar marinade for the veggies with herbs and garlic. Now I want some! Perhaps a little boring, but I love to grill veggie burgers! Grilled pineapple is my favorite. My favorite food to grill is pizza – I grill one side of the dough, then flip and top with fig jam, basil, spinach, and vegan goat cheese. It’s sooooo good! All kinds of veggie burgers, portabellos, corn on the cob, pineapple – I absolutely love grilling all year round, but don’t do it much due to the hassle of charcoal and clean up. Oh I miss my grill! The last one broke. Grilling veggie burgers and topped with onions, peppers and zucchini. Crossing my fingers for this amazing Grill! Vegan mushroom burgers are what I would grill for sure. I’m so glad grilling season is here! We’ve enjoyed grilling all the veggies!! Grilled corn on the cob is a favorite. And, hubby came up with a vegan caesar parmesan marinade for grilled broccoli, so that’s a new favorite, too. I am quite adventurous, and try to grill pretty much everything in the summer, to avoid turning on the stove or oven indoors when it’s hot! Grilled fruit is amazing, peaches especially! Grilled veggies are definitely my go-to! Corn, veggie dogs, pineapple and portobello mushrooms! Grilled pizza with corn and arugula! You grill the corn and remove it from the ears. Roll out the pizza dough, dust with cornmeal and grill. Then top with arugula, close and let wilt, and top with corn kernels, olive oil and salt and pepper. It’s a perfect summer dinner! My favorite item to grill is eggplant! Excellent on zucchini noodles! i love grilling anything from a store-bought vegan sausage or frankfurter to a homemade veggie burger to some well-marinated tofu or zucchini just picked from my garden!! We love to grill corn on the cob. I love grilling a basket full of chopped peppers, zucchini, red onions, asparagus, and cherry tomatoes! I like grilling a variety of vegetables, mainly squash, eggplant, onions, peppers and mushrooms. They make a yummy sub sandwich, too. Next I would like to try peaches! I love grilling parsnips and pears (the pears with a little lime juice squeezed on top). I love grilling fruit, like pineapple slices. Delish! I love fruit and veggie kabobs , I seen someone grilling lettuce for their Caesar salad , it looking like a need idea to try ! We grill organic veggies drizzled with a little olive oil and sea salt! We love zucchini, carrots, green onion, cherry tomatoes and mushrooms, just to name a few! I love grilled corn and asparagus, in fact any veggie is great grilled and the same with fruit, brings out the natural sugars and makes them so sweet!! I’d love to grill carrot dogs, tofu cutlets, etc. I like potatoes, corn, peppers grilled and really love peaches or plums grilled. Our family loves grilled portobello burgers! I have an older grill that is getting pretty worn out. I use it constantly for burgers, hot dogs, grilled vegetables, grilled sandwiches. Veggie burgers and veggies. I love grilled veggies served over rice and usually add some type of beans. Yummy. I’ve never had a grill, but portabello mushrooms and zucchini always seems to taste better when grilled. I love a good baked eggplant dinner. We love to grill eggplant, zucchini, onions, peppers and mushrooms marinated in olive oil, balsamic and fresh basil. I don’t own a BBQ but I love grilled portobello mushrooms! Love to BBQ veggie kabobs with whatever is ready in my garden ! I love grilling portobellos, asparagus and bell peppers. They have the best aroma! Corn & Carrots are my fave! I love marinated grilled tofu and eggplant. Grilled Eggplant! Omg so good! We love to grill veggies burgers and a variety of veggies. My favorite vegan foods to grill are pineapple and stone fruits, like peaches! Anything I can put on a kebab!! I like to grill zucchini and yellow squash!! I haven’t grilled yet as we started a plant based diet in the gall last year, and didn’t know of things to grill. We are now coming into grilling season, but I worry about things sticking or falling into the grill since we don’t use oils… THIS would be awesome! ! I really want to make potatoes with it! !! I love any veggies on the grill but keep it interesting with different marinades: jerk, Thai pineapple ginger, balsamic garlic etc.! Since we’re fairly new to this way of eating, we haven’t done a lot of plant-based grilling. Before we switched to plant-based, we discovered the deliciousness of grilled corn on the cob…yum! It’s the only thing we’ve grilled so far this summer. Veggie kabobs are really good. I also have a barbecue wok (with holes in it), that makes a great stir fry. This is great! Quick, healthy, no oven/heat cooking all summer for yummy grilled EVERYTHING! Onions, portobellos, eggplant, peppers, garlic, etc etc etc… getting hungry already! What a great way to get the advantage of a grill without the mess. A lot more versatile well. I love grilling pizza. To make a vegan pizza on the bbq is amazing. Also I have made lasagna in the bbq. That too is fantastic. This seems like an obvious answer, but onions and mushroom!!! YUM! I often avoid grilling because I hate the fuss of the BBQ! I do like grilled sandwiches which I currently make with a cast iron press on my propane cooktop. This would just broaden my options! I like to grill veggie bean burgers and veggies! I on’t have a grill so anything I want crispy goes in the oven. Would love to be able to make paninis and other pressed and grilled foods! Any summer veggie! Corn, peppers, eggplant, etc. I like grilled veggie burgers and corn. I haven’t done it in a long time, but i used to love doing a foil packet of sweet potatoes on the grill. Parts of the potatoes would get crispy brown, while the insides were still moist and soft. So good! Grilled pineapple and veggie burgers. Delicious combination! Definitely veggies and pineapple spices! My favorite food to grill is homemade veggie burgers. I like to grill corn and carrots. This grill looks amazing! My favorite thing to grill is veggies, especially eggplant and zucchini. Thanks for the giveaway… I would love to win this for my family! I like to rub hot salt on the outside of slices of taters and grill in garlic oil. Gets so crispy! I don’t think there’s a veggie I wouldn’t like to grill, but in particular, mushrooms and onions are fantastic! 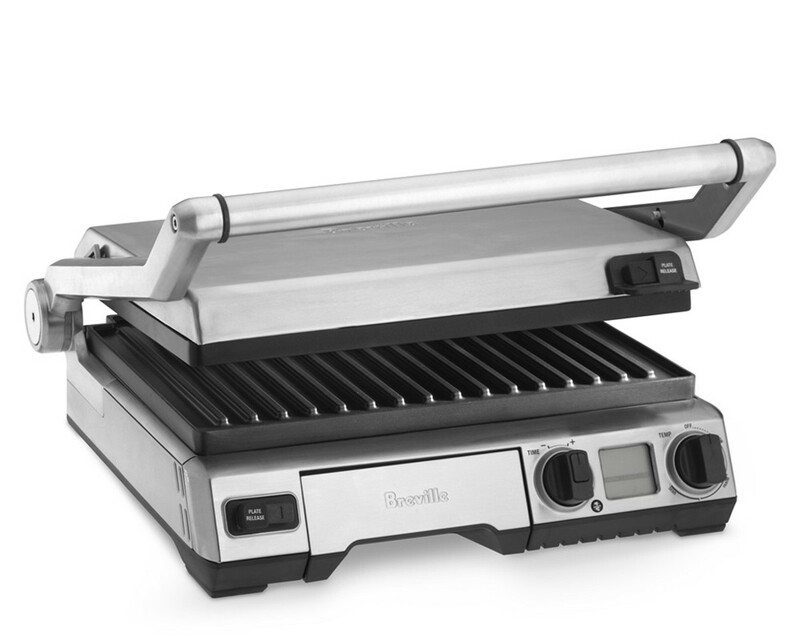 Would be delighted to win this Breville grill! My favorite thing to grill is veggies! Especially corn and scallions! My favorite vegan food to grill is zucchini. Corn on the cob, veggie burgers, veggie kebabs, grilled garlic scapes! I like to make kebabs with grilled veggies and tempeh. Pineapple and Jeff Novick’s burgers. I love to grill zucchini, mushrooms, carrots, and pineapple! I LOVE grilled asparagus, but tonight we had grilled pineapple and peaches on the grill. Now I’ll be up all night deciding on a favorite. Grilled zucchini is the bomb!! Corn on the cob, young potatoes and asparagus…gotta love summer produce on the grill!! I was thinking veggie kabobs, but there’s lots of other good ideas here. Mushrooms! Portobellos are great but all kinds of mushrooms too. We love Oh She Glows Perfect Veggie Burgers and Fresh Melissa’s (formerly Raw Melissa’s) Any Vegetable marinade with zucchini, onions and mushrooms. I don’t grill plant powered dishes, but I would love to try hash browns in this machine! Veggie burgers, portobello mushrooms and asparagus. Vegan hotdogs! My son tried them at a birthday party and came home raving about how good they were so we gave them a shot and everyone loves them. I think veggie skewers with peppers, mushrooms and tofu would be great on the grill. Veggie burgers.. hot dogs…. asparagus…. Tempeh and super firm tofu are the best when marinated and grilled! I’d love this…looks more useful than the Foreman grill. I make veggie burgers on the Foreman. I don’t have an outdoor grill, but I would like to try grilled fruit. I see so many pictures of delicious-looking grilled melons, pineapples, peaches, mangoes, etc., that I can only imagine the fantastic smoky-sweet taste. I like to take whatever leftover beans, grains and veggies I have in the fridge and make burger! Wow! Never seen anything like this before! I’d love to *finally* make some carrot dogs on this! I love to grill tofu and all sorts of veggies. Perhaps typical, but they’re so delicious I’m sure no one would blame me. I love grilled pineapple and apricots! I love grilled pineapple, pizza, potatoes, corn, grilled cheeses you name it. I don’t have a grill but I would love one to make burgers and grilled veggies like corn on the cob. I love to grill zucchini, asparagus, peppers, onions, potatoes, etc… Today I even tried grilling cauliflower. It was yummy! Thank you Dreena for your dedication and hard work. I learn so much from you! My favorites are mushrooms, corn and tempeh satay! Carrot dogs becuae my family cannot believe that they are so good! Kabobs are my favorite on the grill. They are so colorful and fun! Looks perfect for grilled portabellas!!! I loooove grilling all veggies! Especially sweet potatoes and mushrooms! I love to grill veggies, peppers, onions and zucchini. I would use my new grill to make a rainbow of grilled veggies! I would grill tofu, veg burgers, and lots, lots more! Glad you got everything squared away. Thanks for the great giveaway! I would make dreamy smooth dressings. Would love to win. Glad you got things straightened out with FB. We love to grill veggies and tofu together with a little marinade. We also like to use a grill for sandwiches. Traditional, outdoor BBQ grills can be very hard to maintain. They are hard to store, inconvenient to clean & over time, can rust. They can hold bacteria which can cause food to taste differently than it would were it cooked on a sanitary environment & they can be an eye sore! My husband really like to bbq but living in an area where the summer temperature surpasses the century mark & the triple digit heat lasts well into the night, standing over a hot flame is the last place he wants to be. With all the the conveniences of the Breville Smart Grill, we could easily have bbq any time of year! I love grilled fruits and veggies (even romaine lettuce!) along with veggie burgers, but my fave grilled food is pizza. There’s something a BBQ does to my homemade whole wheat pizza crust that makes it so tender and chewy. But being in Canada, with the snowy and cold winter making it not all that conducive to grilling, an indoor grill would be amazing to get that same delicious flavour and texture! Thanks for this contest – and I’m sorry to have read about your online troubles – glad everything is sorted out now! Grilled Portobello Mushrooms for burgers! We love to grill corn on the cob – with chili powder and lime juice sprinkled on top! Definitely burgers. We don’t have a grill, so this would be great! Haven’t tried since becoming wfpb, this be perfect for our new little cabin in woods. Fresh grilled veggies yummy. I would grill up some carrot hot dogs! I’d grill veggie burgers, potatoes, and lots of veggies! I would use this for grilled asparagus and vg burgers..
Would love to have a grill like this! Would grill potatoes and veggies! My awesome grilled ratatouille vegetables subs..and grilled pineapple! Thank you for the chance to win. I can’t wait to make some yummy vegan burgers on here! Homemade black bean and quinoa burgers! We love to grill – indoors and out! This would be great for quick grilled veggies, for sure! I would use this for everything! I am not allowed a BBQ in my apartment and would love to be able to grill up some veggies and even tofu! The comment prompt mentions a Blendtec instead of the grill! 🙂 I’d love to really do my favorite veggie burgers justice with the grill. I would make BBQ tofu. I hope next week turns around for you! I would love to try grilled pizza! I have been grilling peppers and zucchini on my mini foreman grill and then letting them cool and putting them on a 9 grain ciabatta bun (from Costco) with hummus and then grilling the whole sandwich until the bun is toasty. These are amazing especially after they are cooled and packed along for a picnic. I would love a bigger grill to be able to cook more veggies and sandwiches at one time. Any vegetable grilled tastes great – with summer approaching this would be perfect for asparagus, broccoli, potatoes, tomatoes… Looks like it would be good to quickly and easily grill some greens – kale, chard – too. Nothing better than a vegan grilled cheese and avocado panini. This gorgeous grill would make it gourmet. I love grilling summer vegetables… Bell peppers, onions, tomato wedges, eggplant! Corn, kebabs, and veggie burgers! I would love to try tempeh on the Breville Smart Grill! We love carrot dogs and veggies. My husband is the grill chef, he want to make a grilled green chili vegan cheese and a vadilia onion. We like using a cashew cheese or potato and carrot cheese. If I won this grill, I’d make grilled vegetables! Would love to grill more veggies! I would definitely grill some veggies and sandwiches! Love me some veggie burgers and yummy onions-can’t beat grilled onions! Love to grill mangos witb mushroom drenched coconut!!! I recently tried carrot dogs! This grill would be also to grill the carrots! Hands down, favorite to grill is eggplant!! Grill extra for sandwiches the next day! I’d love to try carrot dogs on a grill! Like you, we don’t have an outdoor grill and what I miss most are marinated portobellos, grilled onions (really, just about any marinated veggie), tomatoes and corn on the cob! Sweet! Panini’s with asparagus, peppers. Quesadillas with black beans and goat cheese. Yum.